Over a year ago Barbara Beaman contacted me quite out of the blue. Apparently she had visited my previous blog that listed the colonists I had discovered. Barbara knew about one of them, Villiers Chernocke Smith, because, like me, she’s a family historian. 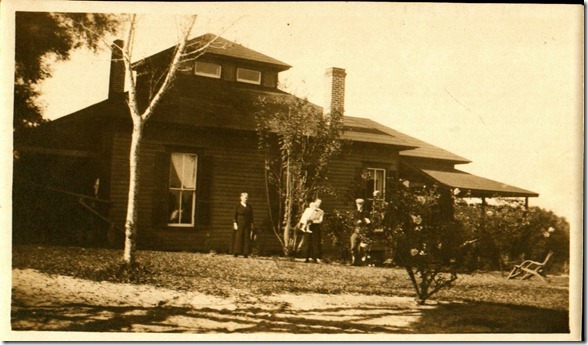 Her ancestror, Algernon Beaman, owned a home and groves on the southern shore of Crystal Lake in Fruitland Park; Smith was Beaman’s caretaker. Barbara writes:I don’t know when Mr.Smith became the caretaker. My family took a trip to Florida in January 1886 with the intent of buying a winter hotel property. They owned prosperous summer hotels northwest of Boston that were open from May 1st until October 1st. I really don’t know why they bought this property instead. I also don’t know if they went down there every winter from the beginning, or if that was something that happened later. They definitely were winter only people – October to April, so they would have needed a caretaker from the beginning. After the big freezes of 1894/95, they needed someone knowledgeable to help restore the groves. Since their main livelihood and properties were up north, money to rebuild was not the kind of issue it was for the people who lived in Florida full time. 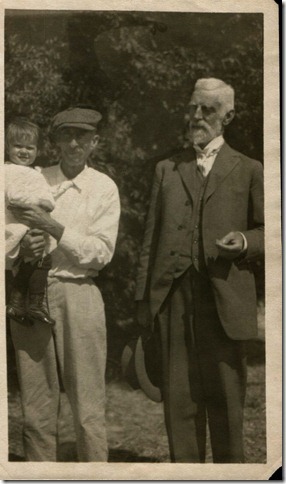 And here’s one of Villiers holding an unknown child alongside Algernon Beaman.